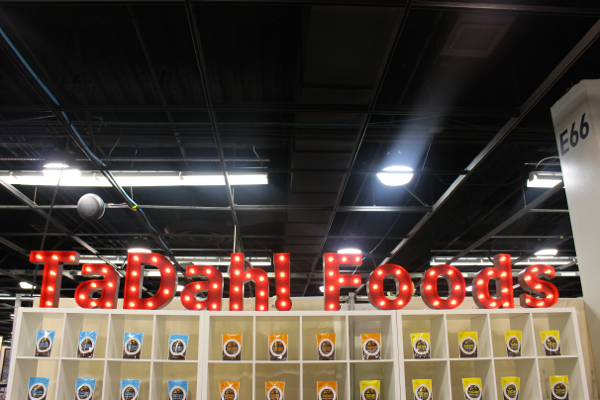 Highlights From The 2015 Natural Products Expo West! I did it! I FINALLY made it to Expo West! Two years in a row I secured a press pass, got everything all lined up, scheduled the time off . . . and then had to cancel my trip at the last minute. Two years in a row I missed my chance, but this year, I finally made it. EXPO! 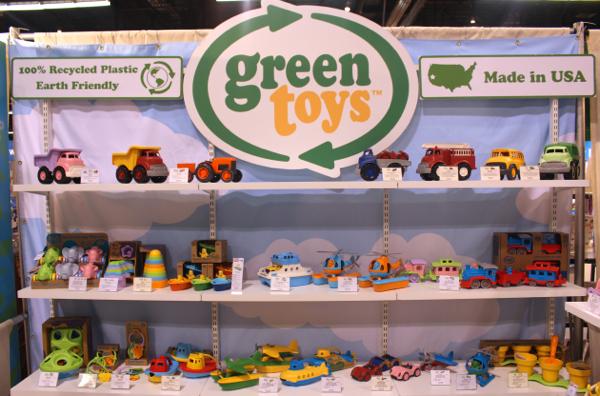 For those of you unfamiliar, Expo West is the largest natural products convention in the world. 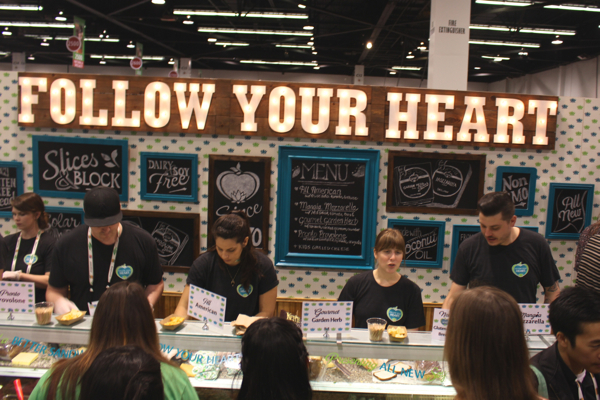 It takes place annually at the Anaheim Convention Center, and sees over 70,000 people perusing the thousands of companies exhibiting their latest and greatest natural food, supplement, bath and body, and eco-lifestyle products. But . . . mostly food. 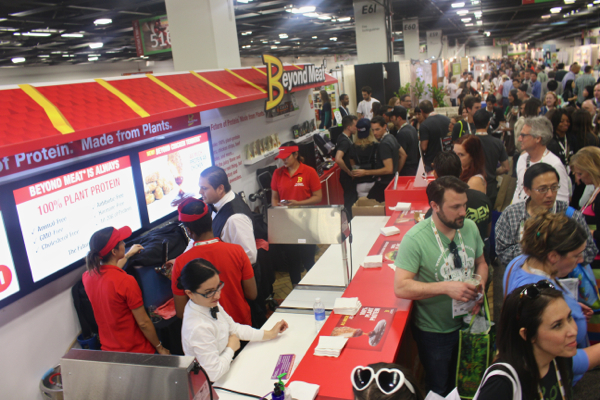 The Beyond Meat booth was made to look like a fast food counter, and they were slingin’ their brand new Beast Burger sliders and Beyond Chicken Tenders. And then after 4, beer. Lots of beer. And she’s right. And it got me thinking, as I drove myself and a trunk full of product samples, and also half of a 37 pound fresh jackfruit, 3 hours home to Santa Barbara. And then I realized, that really, I – and my readers too I’m guessing – appreciate both. Because we believe in balance. Because we know that processed foods, though maybe not the healthiest, is also a wonderful treat that make veganism more accessible and more enjoyable. And we know that the healthiest foods are equally as important, to keep us nourished and strong and happy and vibrant. 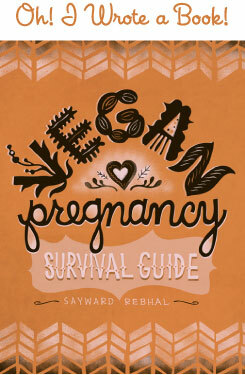 It’s all about balance, and embracing the entire spectrum of vegan options. But then, I began to think about what’s really important to me. Like if I were to make my “Best Of Expo” list, what would be my most important criteria? Food science innovation? Ultimate health? 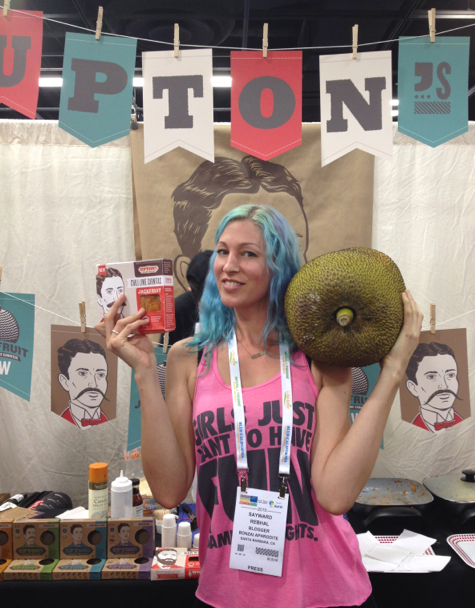 The infamous 37-pound jackfruit. From Upton’s, who will be releasing their packages of pre-cooked, pre-seasoned jackfruit in “BBQ” and “Chili Lime Carnitas” coming this summer! But no. For me, it’s just about integrity. A company that’s ethically intersectional, holistic, and truly eco-friendly. Not just vegan. Not just healthy. I want to witness the next level of food production, where everything is taken into account. That’s what’s important to me. And I bet that’s important to you, too. So this year I’m giving out three awards. #1 – for the Best Food Science Break-Through, #2 – for the Best New Healthy Option, and #3 – the Integrity Award. 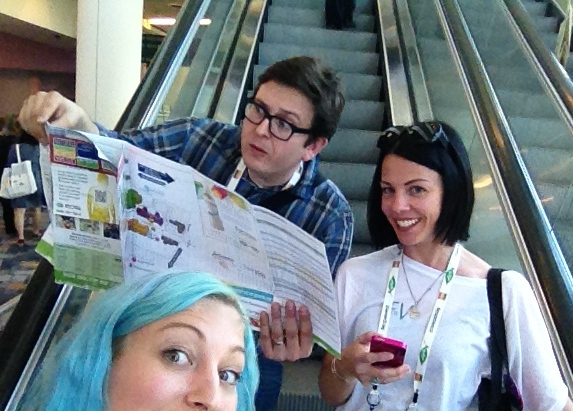 Brian and Kylie and I . . . a little bit lost in the convention center. 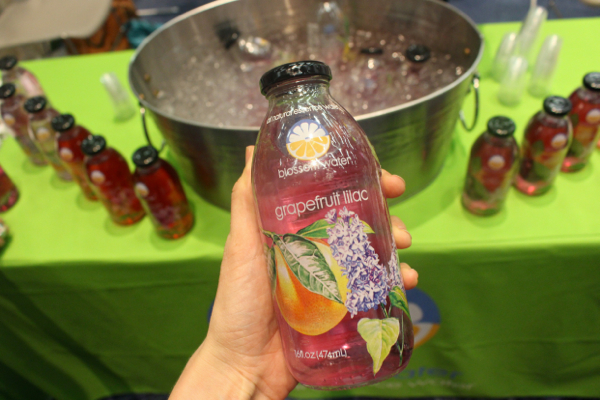 This flower-essence-infused water by Blossom Water was a stand-out new product. SO refreshing! 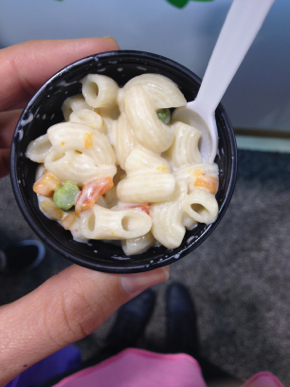 The new boxed mac by Daiya, in cheddar (left) and alfredo veggie (right). Soooo good. I have eaten a lot of vegan cheesecake. A LOT. More than my share I’d say – raw, cooked, homemade, gourmet, at restaurants, tofu-based, cashew-based, and on and on. I adore cheesecake and before I went vegan it was probably one of my top 3 favorite desserts. And vegan cheesecake is okay, but it’s never been quite the same as the original. It’s always lacked that . . . I don’t know . . . tang? There’s a certain soury tart je ne sais quoi that vegan cheesecake has been missing . . . until now. And now, Daiya nailed it. 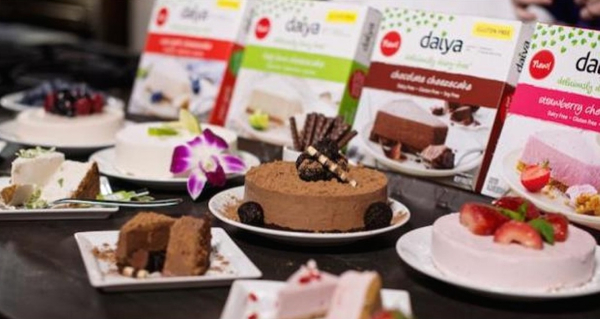 Daiya cheesecake drops in Whole Foods and health food stores across the nation, like ASAP. Like this week. The Follow Your Heart booth was so cute! 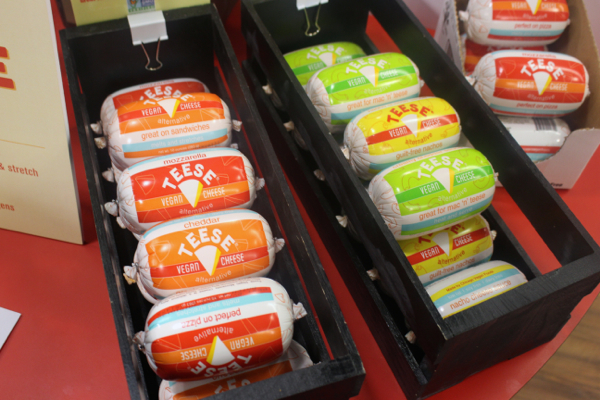 They have a whole line of new block cheeses that just hit the markets. I’ll be posting a full review coming soon! 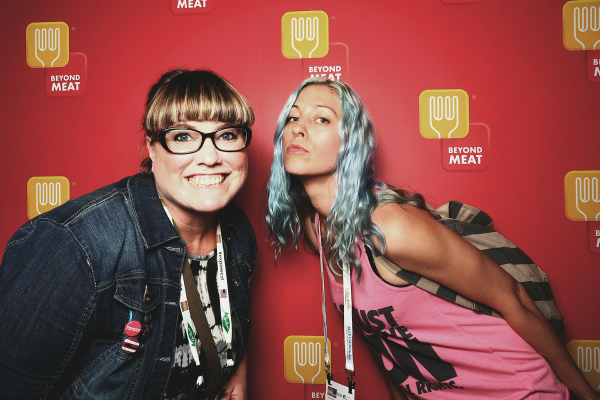 Muggin’ with Joni from Just The Food. 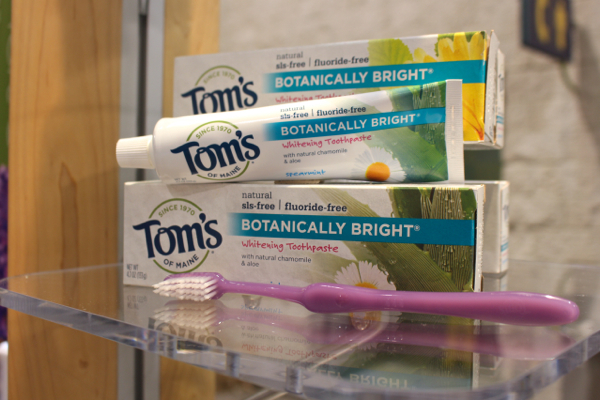 Great new stuff from my friends at Tom’s. And Abby from the So Abby Show was so impressed with the folks at Tom’s that she made an impromptu video in the booth. 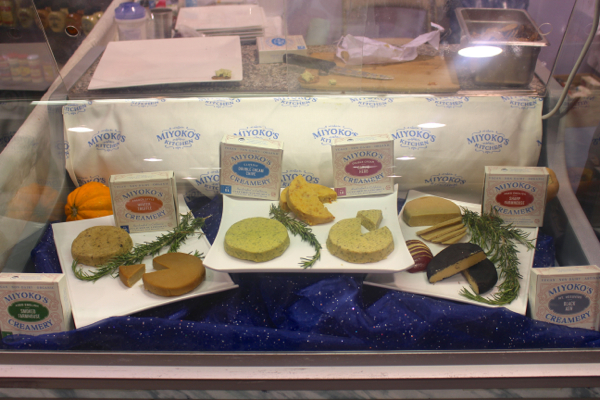 Miyoko’s cheeses are OFF. THE. HOOK. I was so happy to finally taste them! I was a little hesitant to pick these as my winner for “healthy option” because they contain sugar, but in the end I had to do it. 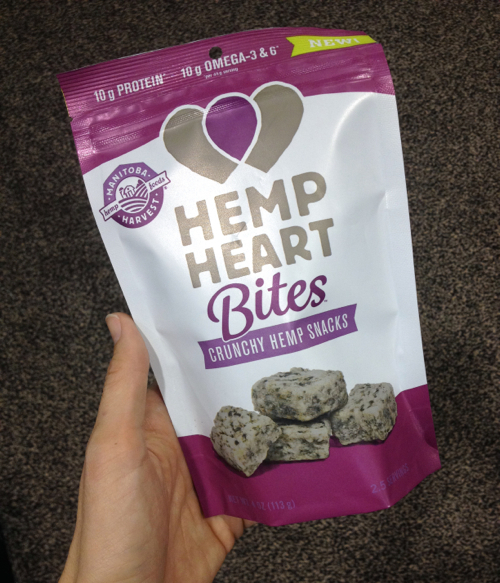 These Hemp Heart Bites by Manitoba Harvest were simply my favorite, and I haven’t seen anything else like them out there. Just organic hulled hemp seeds with organic cane sugar, a bit of vanilla and a hint of sea salt. THESE ARE SO TASTY. They’re kinda crunchy and kinda chewy. They remind me of a Bit-O-Honey or the inside of a Butterfinger, but of course they’re full of protein (10 grams per serving!) and healthy omega 3 fatty acids. These would be great for an after school kid snack . 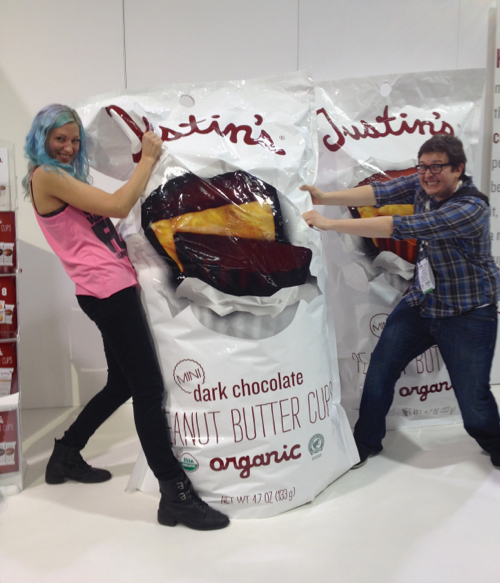 . .
Had to fight Brian for the giant bag of Justin’s vegan peanut butter cups! One of the original vegan cheeses, and still one of my very favorites (especially after they reformulated soy-free!). The Teese cheese sauce makes the very best nachos, for reals. This company makes frozen “falafel bites” with a hidden hummus center. HELLO! 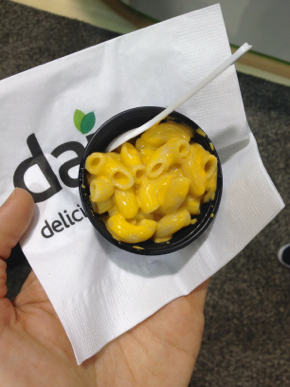 These are amazing – look for them coming to a Whole Foods near you. Breaking! Breaking! 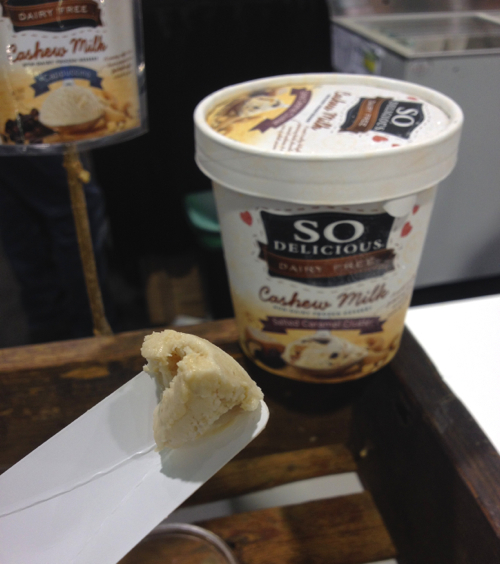 Ice cream made from cashews does, in fact, taste rich-creamy-delectable-delicious. Shocking, I know. 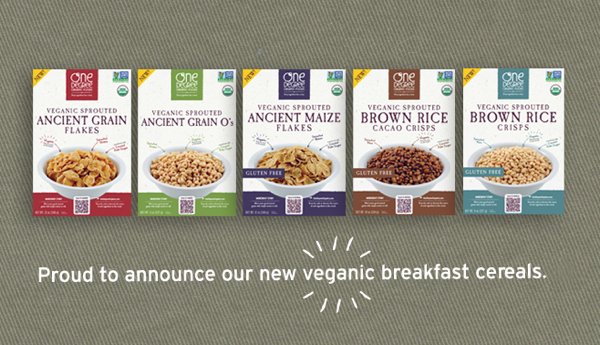 And finally, the winner of my “Integrity Award” goes to One Degree Organic Foods, for their organic, VEGANIC line of whole grain products: cereals, breads, flours, and seeds. Speaking with the folks at this booth was like a big bright breath of fresh air. 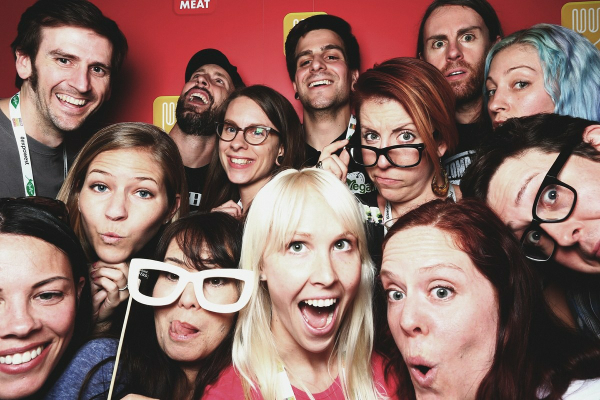 These are good people, and they really care, and they’re really pushing the boundaries of sustainable food production. And well, that about wraps it up for my 2015 Expo West report. It was a lot of work and a lot of fun, and I just can’t wait for next year! And I’m sure you’ve seen all the bloggers recapping with all their highlights, so what about you guys – what products are YOU most excited about? Let me know in the comments below! 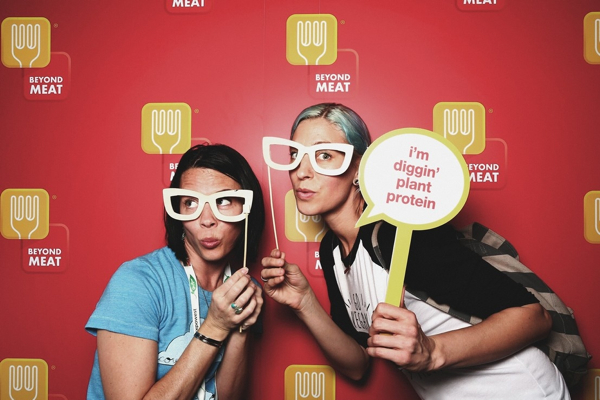 Oh and PS – Michelle from Vegan Break put together this adorable video => “Vegans Invade Expo”, and it’s funny to me how many times my blue hair pops up in the background. I definitely don’t blend in! Also you can see Colleen Patrick-Goudreau creepin’ on my beer. Shenanigans! I am waiting for your call. My official website is http://royalsecretvip.com/. This is astoundingly a not too dreadful and useful.containing all information what’s begin and end the more basically impacts the new movement. Appreciative for sharing. keep coursing in this way. Nice information, Make you Most satisfied Lifetime experience at affordable Rates.